President quashes Qualcomm buyout by Broadcom, we remember other presidential visits to S.D. as Trump drops by, Gloria calls for hepatitis A response probe and our homegrown 1891 presidential poetry fails to stand test of time. 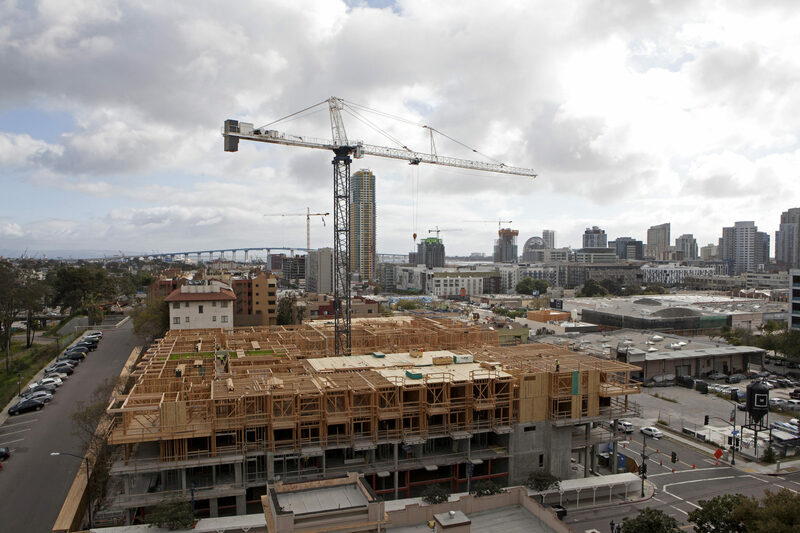 Last week, the state of California handed San Diego regional leaders a bit of news: Local cities and the county needed to structure zoning plans and permitting processes to allow more than 170,000 new housing units over the next 10 years — nearly tripling the current level of annual growth. If they don’t, the state could seize control of planning in a municipality and change the plans unilaterally to make sure housing is easier to be built. It’s a questionable threat the state has mostly not enforced but it’s nonetheless there. Our Lisa Halverstadt was on hand when the news came at the Board of Directors meeting of the San Diego Association of Governments. The response in the room — mostly from Republicans — was not very welcoming. They said it’s too hard to build homes because of state environmental laws. But you can also detect a bit of their acknowledgement of how hard it would be to convince neighbors to allow the development. The quotes Halverstadt gathered are each pretty strong. Meanwhile, the World Wildlife Fund says we’re among the 20 cities in the world that are most at risk of a shortage of safe drinking water. The only other U.S. cities on the list are right up the coast: Oxnard (my nominee for ugliest-sounding California city) and Santa Barbara. Also in the Environment Report: More challenges for Carlsbad’s program to breed white seabass to replenish the ocean with fish, lobbying against offshore drilling and the governor’s hopes for the power grid. Plus: Our environmental reporter goes hiking in Ramona and is unimpressed until his vision gets a bit cloudy. After a recommendation from the Committee on Foreign Investment in the United States — a group made up of senior State, Defense and Commerce Department leaders — President Trump approved an order putting an end to the hostile takeover of Qualcomm by rival Broadcom. It ended a major local drama. San Diego leaders from many sector had been contemplating the potential disintegration or relocation of one its largest employers. The news also came right before Trump’s first visit to San Diego. Local members of Congress had called for (Hunter) the government to stop the deal (Peters) for national security reasons. The president is scheduled to visit today to take a look at the border wall prototypes and talk to troops at Marine Corps Air Station Miramar. (Here’s a general schedule.) Trump fans, protesters and law enforcement are all expected to converge on the South Bay, KPBS reports, although some protests will be held elsewhere. An area on the Mexican side of the border will be closed to the public as well. The protesters are fired up. This is the president’s first visit to California and to San Diego. Trump will become the 14th president in a row, dating back to Franklin Roosevelt, to visit San Diego while in office. There’s quite a colorful history of presidential visits to San Diego. Meanwhile, my own dad saw Dwight Eisenhower land in Chula Vista in a helicopter, and Woodrow Wilson became the first president to ever speak via loudspeaker system at a giant San Diego rally (although he hated the microphone). You can also check out the photos of presidential visits that I posted on Twitter, including not one but two presidents posing with the San Diego Chicken, formerly known as the KGB Chicken. Here’s Ronald Reagan, Clinton and Wilson, Gerald Ford and Richard Nixon, Barack Obama and FDR, and JFK and a welcome poem for Benjamin Harrison, who seems to have been the first president to visit here while in office. The U-T explores why a former judge can’t call herself a “judge” and a former assemblyman can’t call himself an “assemblyman” on the ballot. • This year’s district attorney race may be a race: A liberal political action committee is jumping into the race, although it hasn’t endorsed a candidate, the U-T reports. Geneviéve Jones-Wright, a Democrat and public defender who’s running as a reform candidate, seems likely to benefit. • KPBS examines a mailer from Rep. Duncan D. Hunter that looks like a campaign flier but actually isn’t, at least officially. Taxpayers paid for it. Also: Hunter says he opposes a 25-cents-a-gallon federal gas tax proposal. But there isn’t one. He might have been thinking of this comment from Trump, endorsing such a tax. • Politico chronicles the amazing political evolution of Orange County, which was once a rock-ribbed GOP stronghold but has drifted left, even voting for Hillary Clinton in 2016. Will Botched Hepatitis Response Finally Be Probed? As we reported last year, local officials botched some of their response to the deadly hepatitis A epidemic, with the county and city blaming each other for a lack of urgency on managing the crisis. As far as we know, no outsider ever investigated what went wrong or came up with ways to make things work more smoothly next time. Hey, 19th-century San Diego poet! Don’t quit your day job. 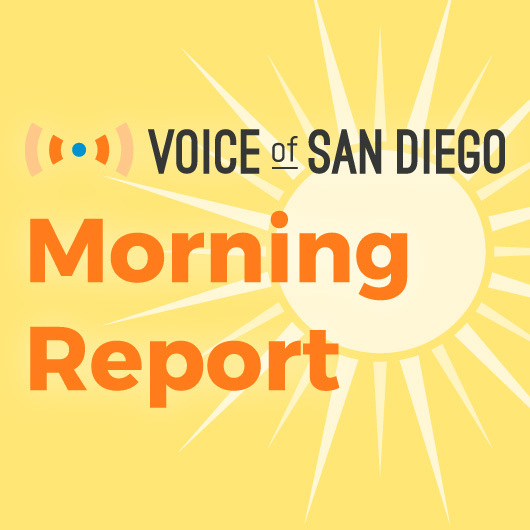 Randy Dotinga is a freelance contributor to Voice of San Diego. He is also immediate past president of the 1,200-member American Society of Journalists and Authors (asja.org). Please contact him directly at randydotinga@gmail.com and follow him on Twitter: twitter.com/rdotinga.